Our first stop is at the Kumistavi Cave, also known as the Prometheus Cave discovered in 1984. 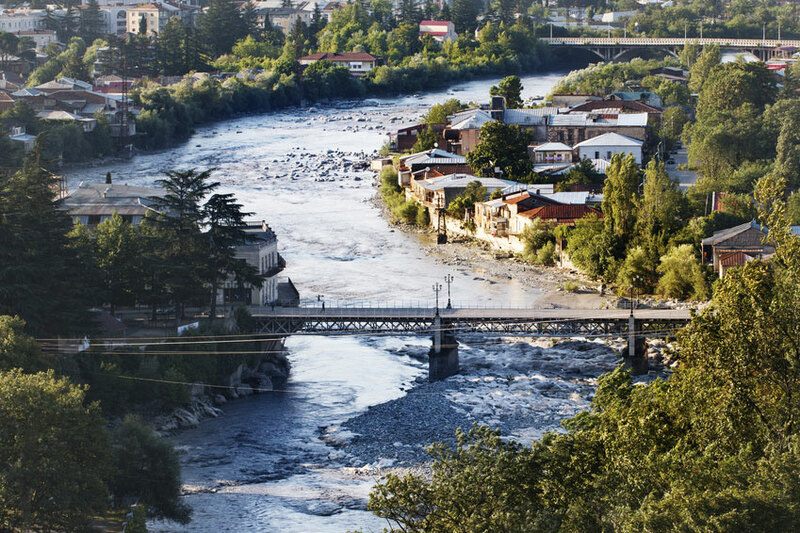 It is located near the Georgian town of Tskhaltubo, 20 km away from Kutaisi. Although only one tenth of the cave is open for tourists, it takes about an hour to explore it. 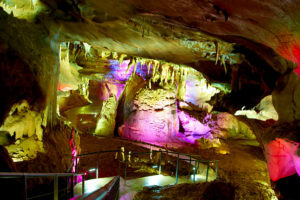 It is a unique experience of the underworld atmosphere in all its glory and colors. Visitors are amazed with breathtaking views of stalactites, stalagmites, petrified waterfalls, underground rivers and lake. The site is spectacularly highlighted by one of the most amazing features of the place – an underground light system filled with LED lights. Next we will stop at Sataplia Nature Reserve located 7 kilometers from Kutaisi. 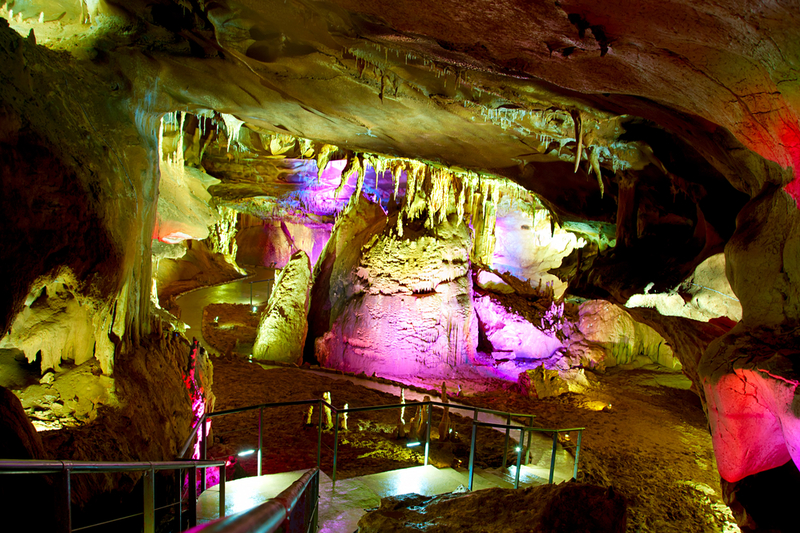 Sataplia is famous for its beautiful and rare karst caves and dinosaur traces that date back to 120 million years ago. The Nature Reserve was founded in 1935 after the discovery of the caves and traces of the dinosaurs by a museum employee. 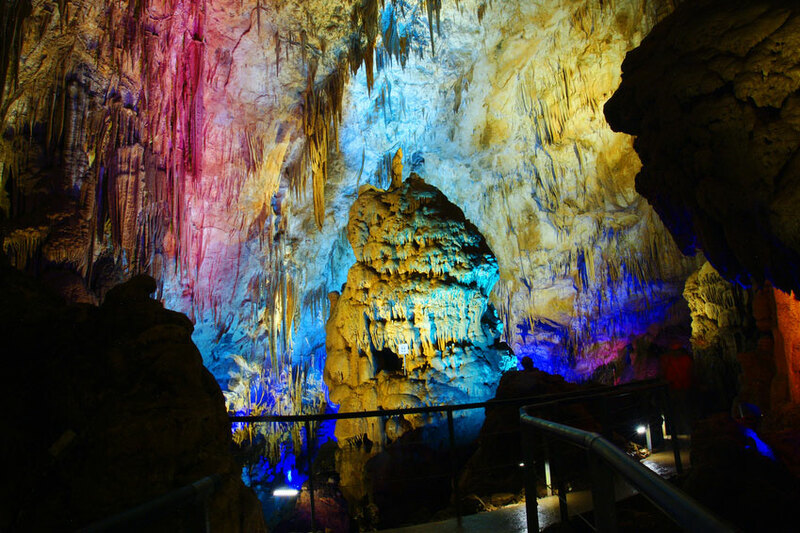 5 different karst caves, panoramic view from the glass bridge and a boat ride through stalagmites and stalactites are some of the activities that guarantee to make your experience unforgettable in Sataplia Nature Reserve.